This Saturday’s Lunch with the Bunny is sold out, but until Friday there are still pre-sale tickets available for the Doggie Egg Hunt. Get yours today! Horner Park Fitness Center – NOW OPEN! Read More Comments Off on Horner Park Fitness Center – NOW OPEN! Read More Comments Off on Sunday, August 23: Park Ribbon-Cutting Ceremony! 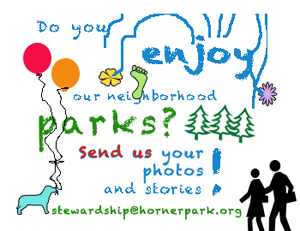 Enter your dog today in the Horner Park dog calendar contest! Put on your dancin’ shoes and join your neighbors for the annual Valentine Day Dance at Horner Park. The Horner Park Jazz Band will provide live music for this family evening. Friday, February 13, 2015 from 7:00 PM – 8:30 PM For more information and registration information, see the Park District program web page.